Fill out the fields below and we will get back to you with detailed information within 24 hours. Need individual gift messages for gifts sent to one address? Enter total quantity here and select Send to one address at cart page. Enter total quantity here and select Send to multiple addresses at cart page. 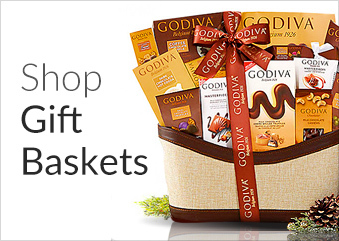 You have the option of adding personalization to this gift. Every gift includes a free gift card message, but this is an opportunity to add something extra special. *Engraved bottles take an additional 5-7 days for delivery. Best wishes for a warm and happy holiday season. Best wishes for a bright and beautiful Christmas season. May joy and contentment be yours… Today and always. May Contentment Fill Every Corner of Your Christmas. May the simple joys of life fill your special day! May you enjoy every day of the coming year. Congratulations ____ & ____ on your engagement. We wish you the best! ____ & ____, As one, may you grow in faith and love. Make this day a celebration! Friends are the wine of life. Thank you for making family such a beautiful word! With love to you - happy father’s day! The joy you bring to everything always warms my heart. To the world you are someone, but to someone you are the world. Love is the bridge between two hearts. May you always be each other’s greatest gift! Happy anniversary! Wishing lots of happiness to two special people on their anniversary. Like a fine wine our love grows richer with each passing year! Thinking of you and the friendship we share. Your thoughtful ways have made my days more bright and beautiful. Especially for you with heartfelt gratitude. A note to thank you for the beauty you bring into the world. Our sincere thanks for all your good wishes and very lovely gift. Zip Code was applied successfully. Each state has different alcoholic beverage laws by which we must abide. For this reason, this product cannot be shipped to . order and a link to track its progress. If you’re searching for an impressive gift set for a client or colleague, look no further – our Johnnie Walker Blue Label Gift Box speaks for itself. Featuring a bottle of world-renowned Johnnie Walker Blue Scotch Whisky and three assorted canisters of Virginia Cocktail peanuts, this gift basket is sure to delight any recipient. Serious sippers and foodies alike will appreciate the flavor pairings available in this delectable gift set: the savory flavors of the sea salt peanuts accentuate the smoky, aromatic and spicy notes within the whiskey, while the toffee and dark chocolate-flavored peanuts bring out the essence of honey, hazelnuts and oranges for an unforgettable culinary experience. Each of our whiskey gift sets is wonderful for entertaining, toasting the holidays or celebrating a corporate milestone. 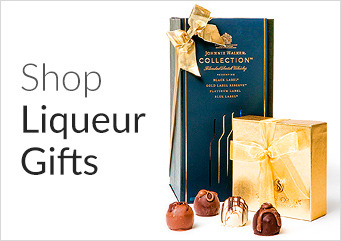 Delivered in a beautifully packaged gift box, our Johnnie Walker gift bundle includes a greeting card which may be personalized during check-out. Personalize your gift now with custom bottle engraving. Your special engraved message will provide that uniquely one-of-a kind touch to your recipient. This fine gift is presented in our signature luxury complemenrty gift bag, featuring gold satin ribbon and metallic gold printing. A complimentary card with your personal message or greeting is included with your gift. For this reason, this product cannot be shipped to Illinois, Kentucky, Maryland, Massachusetts, Montana, South Dakota, Texas, or Utah. Additionally, we cannot ship products over 20% ABV (Alcohol by volume) into Pennsylvania or Wyoming. New Hampshire: we cannot ship to the towns of Brookfield (03872), Ellsworth (03223), Monroe (03771), and Sharon (03458). or Have your Company / Employer Pay Don’t have approval to pay for this? Forward this purchase to someone else for approval and payment. Once the transaction is completed, you will receive confirmation by email.